Stand by for some significant energy shifts as Mercury then Jupiter move to direct motion and Mars and Saturn start retrograde periods. 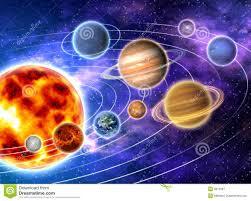 Retrograde planets draw our energy inwards, they provide the chance to revisit old projects, feelings and ideas. We are in the last week of MERCURY retrograde (February 6 – 28 in Pisces and Aquarius) – as we well know, Mercury retro can be a time of confusion, delays, challenges and difficulties in decision making…. On the positive side, which Mercury retro is less known for – it is a time for re-organizing and reflecting, which can lead to significant inner revelations. This is a time for thinking ‘outside the box’. Being retro in Aquarius and Pisces makes this an especially good time to get in touch with our higher humanitarian ideas and ideals, with our ‘bigger dreams’. As soon as Mercury moves to direct motion, Mars and Saturn start retrogrades…..
MARS goes retrograde every two years for approx 90 days. This time Mars is in Libra, and the retrograde phase starts March 1st, lasting into mid May. Again this is likely to bring along delays and frustrations, but these may prove to be valuable as they give us opportunities to review and reflect on our goals. Less energy will be available to us, so this is a time when it better to plan, review, work out details so that we are ready to move forwards confidently and rapidly after the retro period. Mars retro can produce impulsive actions and flare ups of repressed anger, but the energy of this retro can be used consciously to reinforce, strengthen, ourselves in some area of our lives. SATURN retrograde from March 2nd to July 20th means it is time to look square on at our reality, see what we are creating in our lives, and to face our fears. This is an opportunity to look at what we have taken on in our lives, and if necessary put up some boundaries, weed out or re-negotiate sources of frustration and where we need to, learn to say NO. This is a time to grow up a little, embrace the next stage of maturity in our lives, become clear on the rules and regulations we set for ourselves, acknowledge our sense of responsibility and our limitations. JUPITER has been retrograde in Cancer since November and will go direct again on March 6th. This has been a period with the energies attuned to inner awareness and inner growth, and again this energy may have been slowing down our projects and plans, giving chance to reflect on our motivations and the values that underpin our goals. Being in Cancer this energy is very much directed towards how we look after ourselves and support our own development. As Jupiter goes direct we should come out of this period more self-aware and able to progress with greater integrity and authenticity. Our philosophical view on life has probably grown during this time, which will be of great value to us as 2014 proceeds. We are in the Pisces month, the last month of the astrological year, when realities dissolve and new ones are dreamt into being, when we are wise to journey within and be informed by the watery energy of the Piscean inner realms, taking these last weeks of winter to shift and heal anything that needs our attention, in order to emerge fresher, freer and fabulous along with the Spring season just around the corner. When planets appear to be moving backwards through the sky this process is amplified and illuminated – retrogrades should be embraced for what they can reveal, and not feared for the challenges they bring. We are all being nudged gently, sometimes not so gently, into the Age of Aquarius, where we will know Who We Are and become conscious creators overcoming our egoic sense of isolation to work with nature, spirit and each other, creating the lives and the world we wish to enjoy.